I decided to get involved with the Highfields project as it's not every day you can help in creating our own piece of history. 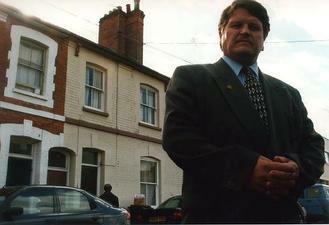 I found the actual photo shoot very interesting, with a whole range of emotions being felt, the strongest being sadness on entering the house in Stoughton Street and having my childhood memories shattered. 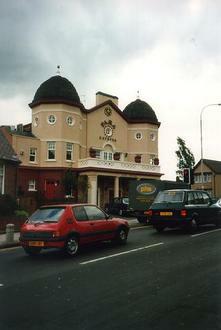 This is what remains of the Evington Cinema. Known as the  Flea Pit  , we spent our saturday mornings watching Flash Gordon and Mickey Mouse. This is St. Peters School [Juniors]. 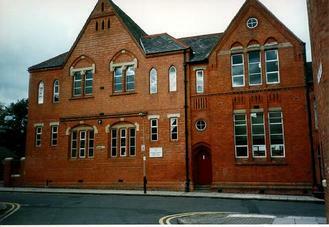 I believe we had the first black headmaster in Leicester if not in the country. I think his name was Mr. Robinson? 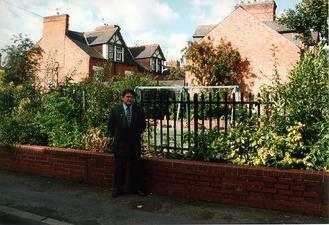 This is where Highfields Infants was. 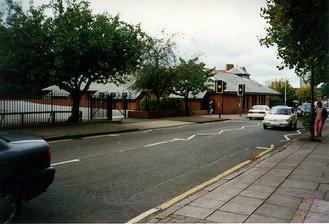 My mum cleaned there and was the Lollipop Lady at the crossing you can see. My most vivid memory is of having a sleep on the canvas beds in the afternoon. Its strange to see Stoughton Street so one sided and so many cars. 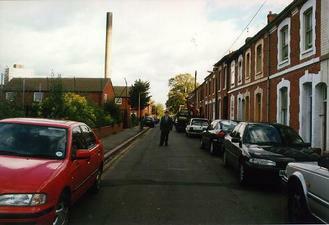 There always seemed plenty of room to play football, only occasionaly having to pick the ball up for passing cars. This is opposite our house in Stoughton Street, where a certain Jerry Dorsey lived, he is better known as Englebert Humpperdink. 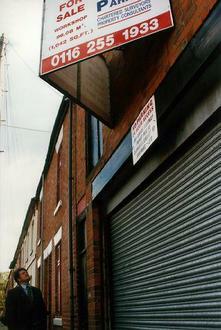 This is where I was born in Stoughton Street. I found it quite difficult going to see it as it is now. I remember it as a safe and clean place to grow up in. 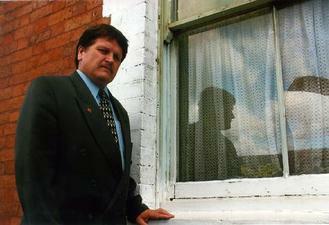 Brett Pruce 1997. Reflecting on the room where I was born in 1955. Delivered by Dr Fraser Snr. I think I was 14 before he stopped calling me his blue baby! 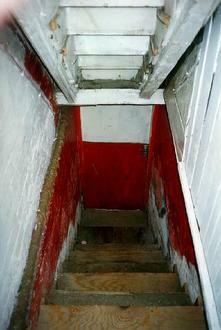 The stairs down to the cellar at my old home in Stoughton Street. The cellar was out of bounds for most of my childhood. When I was about 14 or 15 a group of us tried to clean it up and turn it into a den, but the coal dust beat us. 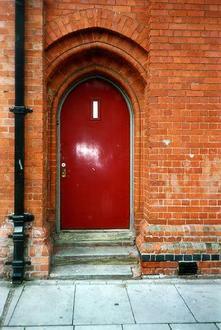 The main door of St.Peters Junior School, it seemed so much bigger then. The playground had no grass and we had to go to either Spinney Hill Park or Victoria Park for that. But still a great place to learn your football skills with a tennis ball. Thes doors were a perfect goal, they were wooden then and perfect to paint cricket stumps on in the summer. 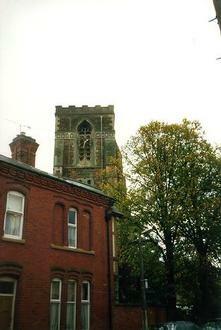 This is St. Peters Church, minus its spire, we could see the clock and spier from our bedroom in Stoughton Street. I was a choirboy here in the sixties and was married here in 1972.